Actress, singer, dancer, courtesan, entrepreneur, madam, opera impresario and mother of Casanova's daughter, Mrs Cornelys, a.k.a. "The Empress of Pleasure", "The Queen of Masquerades", "The Circe of Soho", mesmerised swinging 1760's London with her scandalous, sexually charged, drink and drug-fuelled, masked balls. 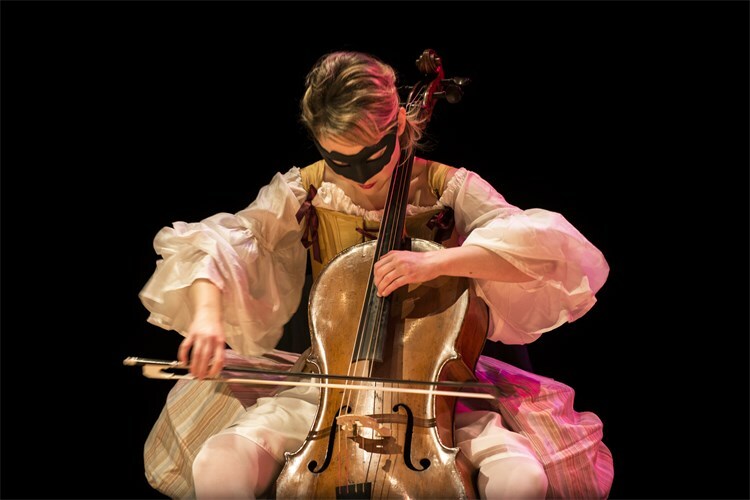 Featuring sensual, virtuoso Baroque dance, intertwined with sumptuous 18th century arias and symphonic music, Simon Murphy's new stage show "Mrs Cornelys' Entertainments - Baroque Burlesque or An 18th century Variété" captures the effervescence, excitement and intrigues of Mrs Cornelys' lavish, multi-disciplinary, "eyes wide shut" style events. Enthusiastically reviewed in the Dutch press as "fresh and playful Baroque - a feast for the eyes and ears" in which "the theatrical elements worked beautifully", the show explores the lives and stories of Mrs Cornelys and her cosmopolitan 18th century jet set including composers JC Bach and Abel, painter Gainsborough, interior designer Chippendale, actor/playwright Garrick, wild child Ann Ford, and culinary innovator and Hellfire Club co-founder Lord Sandwich. 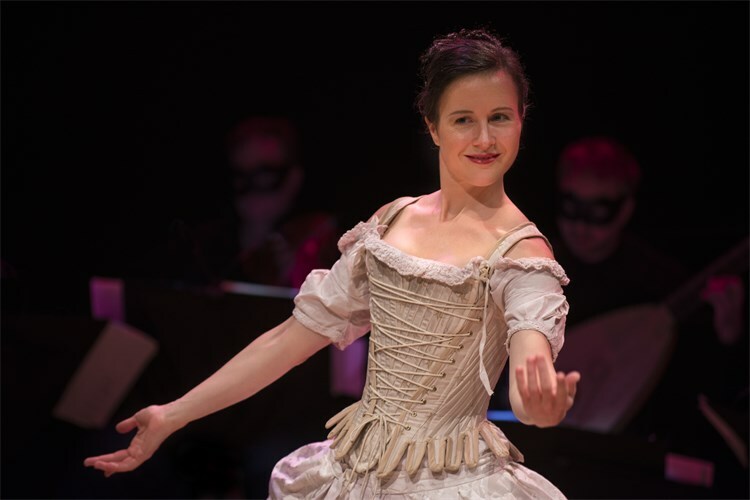 With music by Handel, Abel, JC Bach, Arne, Boyce, Mozart, Gluck, Storace, Kotzwarra, Paisiello, Cimarosa and Dittersdorf, the show's international cast features Swedish Baroque dancer Karin Modigh in the title role, American Baroque dancer Caroline Copeland as Mrs Cornelys' infamous patron Elizabeth Chudleigh, the Duchess of Kingston, German soprano Gudrun Sidonie Otto as superstar 18th century British soprano Nancy Storace, Polish solo-cellist Aleksandra Renska as Ann Ford, and The New Dutch Academy Orchestra led by concertmaster Rachael Beesley, directed by Simon Murphy. Choreography by Caroline Copeland and Karin Modigh. Concept, script, music selection by Simon Murphy. The Mrs Cornelys' Entertainments production is suitable for 18th century theatres, or for intimate to mid-size modern concert venues (with a supplied, special lighting plan, and set), or for private events. The production package includes all necessary planning information, a selection of audio/visual promotional materials, complete programme notes and background story. The show can be mounted as a stand alone theatre/festival performance. Alternatively, it can be staged with a series of surrounding/accompanying performances/entertainments as a "total event", for example with guests being invited to (also) dress in masked ball attire. Related (or alternative) concert programmes include a symphonic programme Music for Mrs Cornelys' Entertainments with symphonies and arias by Abel, JC Bach, Storace, Mozart, Gluck and Dittersdorf, and chamber programme Music for Mrs Cornelys' Salons with string quartets by Abel, Stamitz, Dittersdorf, Vanhal, Haydn and Mozart. Show, Programme and Concept © Simon Murphy, 2016. All Rights Reserved.